You Are Here : Home >> News >> Technological >> How do I choose a Gloss Meter? How do I choose a Gloss Meter? You first require a flat surface of approximately 2" by 0.5" (50 x 10mm) to position a glossmeter properly on a surface. If the surface area you have is smaller, then please choose our 3nh brand small aperture model NHG60M glloss meter. One must now judge your product by how glossy it is. Most products fall into a semi gloss range. Some are matte and designed to have very low gloss and others such as metals or car finishes are very high. There are three types that cover the complete range of gloss, namely the 20 degree, the 60 degree and the 85 degree glossmeters. Certain industries however suggest a different angle. These industries are; paper, ceramic, film, and vinyl). 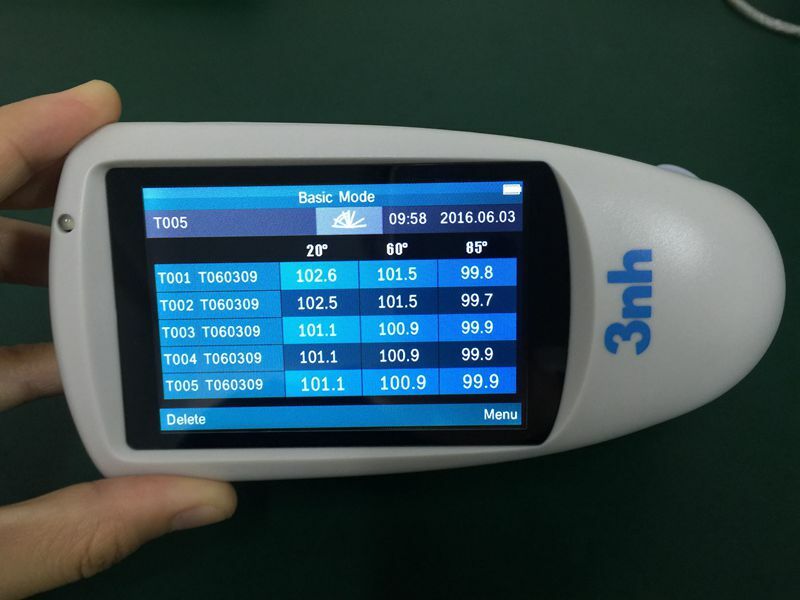 If you fall into one of these industries, please read Gloss Meter Selection by Industry. Some customers produce a range of products from very glossy to matte, then you would require a Universal gloss meter that measures all three angles or maybe you only make products from semi gloss to very high gloss, than you need the 20, 60, 85 degree gloss meter (model NHG268 or HG268 gloss meter). For improved resolution of low gloss, a grazing angle of 85° is used to measure the surface. This angle is recommended for surfaces which measure less than 10 GU when measured at 60°.This angle also has a larger measurement spot which will average out differences in the gloss of textured or slightly uneven surfaces. One must remember that all gloss levels can be measured using the standard measurement angle of 60°. 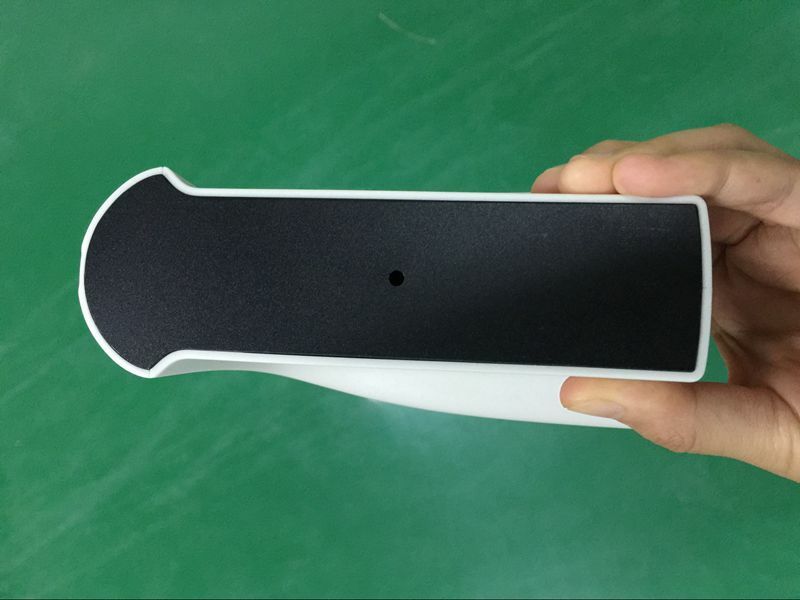 This 60 degree angle is used as the reference angle for all products. So why choose some other another angle? Because for extreme gloss, one obtains better measurements with the complimentary angles of 85° or 20° often used for low and high gloss levels respectively. The acute measurement angle of 20° gives improved resolution for high gloss surfaces. Surfaces that measure 70 GU and above at the standard angle of 60° are often measured with this geometry. The 20° angle is more sensitive to haze effects that affect the appearance of a surface. The different gloss of these two samples is more clearly shown in the 20° readings. The 45 degree glossmeter is used primarily for the ceramics and film producing industries. The 75 degree glossmeter is used primarily for the paper and vinyl producing industries.